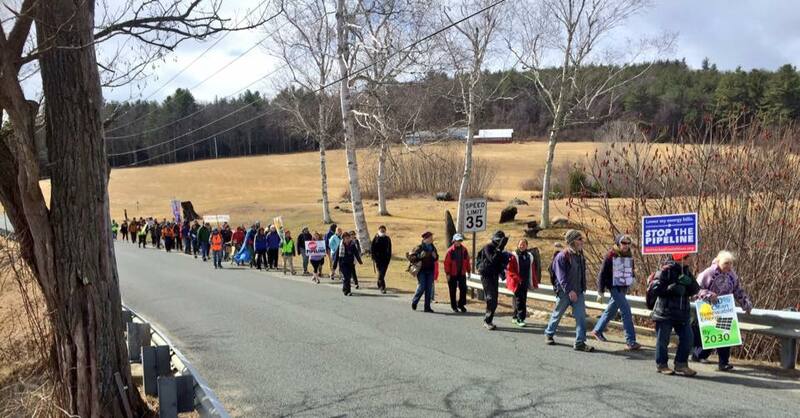 Taking Steps to a Renewable Future, a four-day walk along the route of the pipeline this March, planned by the Sugar Shack Alliance and Climate Action Now. Exactly a month after we completed the walk, Kinder Morgan announced the suspension of the pipeline. Photo Courtesy of Aly Johnson-Kurts. Now, after a dedicated two-year-long grassroots movement, Kinder Morgan suspended the Northeast Energy Direct pipeline on April 26, 2016 and then officially withdrew their application with the Federal Energy Regulatory Commission (FERC) on May 23. Our grassroots movement defeated one of the largest energy companies in the country. This following research was originally conducted and written in December of 2015, when Kinder Morgan/Tennessee Gas had just significantly changed the proposed path of the pipeline, brining the eastern section of the route into New Hampshire. Publishing this research now is a way to portray a capsule in time of a successful social movement and reflect on the strategies that brought on a major victory in the fight against the fossil fuel industry. What did our movement do particularly well? Where could we have improved? The threat and consequences of this pipeline are shared with all the other proposed fracked gas projects in our region. Fighting one helps us fight others; we must not back down because we’ve won just one battle. Reflecting on this recent victory can help strengthen our understanding of this industry and inform us on how to defeat Spectra Energy’s AIM Pipeline, the West Roxbury Lateral, the compressor stations in Burrillville, Rhode Island and North Weymouth, and inspire us to continue organizing for a just and sustainable world. In this light, I hope you will join us in escalating this summer against Spectra and acting in solidarity with our neighbors in Eastern Massachusetts. On Tuesday, June 28th, the Sugar Shack Alliance will be bringing a contingent of Kinder Morgan pipeline fighters to risk arrest in West Roxbury. Then from July 14-18, we will march along the route of the proposed Spectra Access Northeast route, back to West Roxbury, and end at the Boston Statehouse to send the message: Stop the Pipelines or the People Will! In January of 2014, Tennessee Gas Pipeline Company, a subsidiary of Kinder Morgan Energy, filed intent to construct the Northeast Energy Direct, a new pipeline that would have connected pipelines in Wright, New York to gas hubs in Dracut, Massachusetts.5 This expansion was a fraction of the 14,000 mile long network of Tennessee Gas Pipelines, mostly based in Texas and Louisiana, connecting all of the major shale reserves in the central and eastern part of the country.6 It was the second part of a larger expansion project that would have created two new main lines of pipe to bring gas from Pennsylvania farther north. The “Supply Line” began in Troy, PA and ended in Wright NY, with this pipeline, the Northeast Energy Direct, being the “Market Line.” The pipeline was scheduled to be completed and online by 2018 and would have cost between $3.75 to 6 billion, the latter figure most likely the price for the combined Supply and Market path costs.7 The pipe would have been 36 inches in diameter, buried three feet deep, and requiring a clearing of 100 feet of cleared land for construction.5 It would have carried 2.2 billion cubic feet of high pressured gas per day, using a process known as “line packing,” or storing as much gas as possible into the pipe.7 Compressor stations were proposed every 50 to 60 miles along the route – 50 to 75 acre-large facilities that routinely pressurize the traveling gas. Why was this project proposed? Over the next few upcoming years, a number of major power plants in New England will be phasing out, either from a loss of economic viability, the energy being outdated, or the energy’s failure to meet with emissions target standards set fourth in Massachusetts’ Global Warming Solutions Act. These plants include coal and oil plants in Massachusetts and Connecticut: Mt. Tom, Brayton Point, Salem Harbor, and Norwalk Harbor, and the nuclear power plant Vermont Yankee, all totaling to a loss of 700 megawatts.8 Because of this, Kinder Morgan, ISO New England (Independent Systems Operator which oversees the electric grid), and the New England States Committee on Electricity (NESCOE), declared that the region is in a state of “energy shortage crisis,” and promptly accepted plans from Kinder Morgan to file for their pipeline project.8,9 Further investigation showed these declared “energy crises” stemmed from small windows of electricity price spikes, not a shortage of actual gas or electricity. These price spikes occur during a “bottleneck period” in the winter, when heating and electricity demand both peak at the same time. This lasts, on average, one week per year.10 Even in the Polar Vortex of 2014, when this “energy crisis” was declared, ISO New England had enough leftover generated electricity to sell to New York. ISO New England demands a buffer of about 2,450 megawatts per day; this is energy that is almost never used, just kept at hand in case of emergencies.11 For example, the grid has the capacity for 37,000 megawatts per day, but in 2006 during a particularly humid summer, the all-time peak demand was reached while using only 28,130 megawatts. Since then, no daily demand has surpassed that amount, leaving a real buffer of more than 9,000 megawatts.8,10 “Minimum Generation Emergency Warning” periods also show ISO’s hearty supply of energy; these are days when ratepayers are using so little electricity that ISO coordinates power plant shutdowns throughout the region to save money. These happen about 10 to 20 times per month, and are viewable through ISO’s public online calendar. The 700 megawatt gap from the closing power plants is being lost from the grid’s extensive buffer zone, not directly from homeowners. To solve this loss of the buffer, NESCOE and ISO New England requested an extra 0.6 billion cubic feet per day of gas from Kinder Morgan.8,9 With this pipeline, Kinder Morgan proposed to transport 2.2 billion cubic feet of gas per day, which is over 15 times more than necessary according to National Grid’s own projections.13 With already a vast surplus of energy maintained by ISO New England, what was the use of the extra 1.6 billion cubic feet of gas that would have come from this pipeline? The answer was a desire to export the energy to make a profit in foreign markets. Along with being the most energy efficient, Massachusetts has also been touted as having one of the most aggressive state climate policies in the country, the Global Warming Solutions Act. Signed into effect in 2008 by previous governor Deval Patrick, the plan outlines a variety of climate-related funds and initiatives, from increasing clean energy and renewables, to more public transportation and walk-able communities, to cleaner transportation methods.22 The most important part of the bill is the emissions targets, all based upon Massachusetts’ greenhouse gas emissions in 1990. By 2020, emissions must be between 10 to 25% below 1990 levels, and by 2050 80% below.22 Achieving these targets will require the continuation of expanding Massachusetts’ renewable energy capacity. To meet these standards, the goals set forth by the state include 1,600 more MW of solar and 2,000 more MW of wind by 2020, which are already well underway.22 Through these state programs, solar capacity has been increasing by an average of 237 MW each year, and averaging a 10% annual growth.23 Kinder Morgan planned for the pipeline to be complete and available for the grid by 2018. By this time, additional solar will be up to 711 MW (averaging an increase of 237 MW per year for three years).23 Adding the 10% per-year growth, this solar capacity totals to 785 MW by 2018. The Northeast Energy Direct project was to be “Class 1” pipe, the thinnest allowable diameter of pipe available, only used in rural areas with lower population density. 33 This can mean that the probability of leaks and cracks in the pipe is much greater, especially dangerous in an areas with harsh winters, where a pipe below the frost line has caused massive explosions.34 But explosions in gas pipes are common during any season, especially with the “line packing” technique that would be used by the company. If an explosion were to occur, local fire departments would not have the capability of putting out the extremely hot methane-induced fire. Instead, teams from the pipeline company would have to arrive from often far distances.35 Spills and explosions are common with gas pipelines across the country; since 2000 there have been almost 1,000 significant incidents resulting in 34 deaths, 147 injuries, and $1.5 billion in damage costs.36 This caused many of us to question if rural communities are viewed as expendable and not deserving of stronger pipes in the eyes of Kinder Morgan and Tennessee Gas. In terms of economic effects, if a landowner agreed to have the pipeline on their property, property value could be lowered from 10 to 30%.37 Posing an even larger economic issue, in order to finance the billion dollar pipeline project, NESCOE proposed a tariff on all electric ratepayers in New England. Every person who pays for electricity in all six New England states would have an added line on their monthly bill paying for the project, despite the fact that the gas from the pipeline would not even necessarily serve their state. As activists cleverly stated, New England residents would then be “paying more to pay more,” connecting the tariff to the likely potential for exporting the gas, signifying the fact that international energy markets have higher prices than our own national markets. Even with Kinder Morgan withdrawing the pipeline, the threat of a pipeline tax is still imminent. Recently, thanks to a strong grassroots organizing effort, a new energy bill passed in Massachusetts that includes more emphasis on offshore wind and hydropower and no word on gas pipelines. However, the looming pipeline tax was not explicitly banned in the bill, leaving the possibility open. Call you legislator today and urge them to include an explicit ban on the pipeline tax in the energy bill! The entirety of this project was linked to even greater issues, connected to a larger picture of U.S. energy extraction. In business and marketing, semantics is everything – it can make or break a product; the natural gas industry is well aware of this, and is probably one of the most successful marketers out there – one can tell from just reading the name of their product. “Natural gas” is far beyond “natural,” but the industry has been convincing the public that the energy source is a clean, environmentally friendly solution to America’s energy needs. Hundreds of fracking wells in Texas. Photo courtesy of Greenpeace. Natural gas is found in shale bedrock and is extracted through a highly controversial process known as hydraulic fracturing, or fracking. This is a process of horizontal drilling, a relatively new type of drilling that allows extraction to go well beyond conventional vertical drilling, reaching into more difficult areas and hard bedrock.40 Through the process, upwards of millions of gallons of water mixed with sand and over 600 known chemicals are sent down the well in high speed and pressure, cracking the shale formation and releasing the stored gas.40,41,42 The gas then travels up the well, along with the water and chemical mixture. The liquid mixture is either injected back underground, sent to storage facilities, or sent to treatment plants and placed in nearby bodies of water.41 Some of the chemicals used in the process range from neurotoxins, chlorides, sulficants, carcinogens, and endocrine disruptors. Conveniently, under the Energy Policy Act of 2005, fracking was exempted from The Clean Air Act, Clean Water Act, and the Safe Drinking Act.43 Numerous scientific studies, including one by the World Health Organization, have found these chemicals in groundwater aquifers near fracking sites, the drinking water for those who live in the area.44 Over 1,000 cases of contaminated drinking water from those who live near these sites have been reported.45 Side effects ranging from nosebleeds, headaches, respiratory problems, cancers, and cardiovascular diseases, to name a few, have been associated with the energy extraction process.41,42,45 These same chemicals are still found in the gas that is being transported through pipelines across the country; leaving nothing “natural” about the gas. Another dangerous consequence of natural gas is its primary chemical component: methane, or CH4. Methane, like carbon dioxide, is a potent greenhouse gas that traps heat in the atmosphere, further contributing to climate change. Natural gas, when burned, emits 50% less carbon dioxide than coal, when it is burned.46 Because of this, gas is considered the “bridge fuel” that will allow our society to transition from fossil fuels to renewables. This narrative is very problematic since it disregards the potency of methane. Yes, because gas burns off less carbon dioxide than coal, it is cleaner in terms of carbon dioxide emissions. But methane has a shorter lifetime in the atmosphere than carbon dioxide (12 years as opposed to 100 years) so it traps heat quickly.46 In terms of overall greenhouse gas emissions, methane is a lower but faster contributor, which doesn’t fare well with the short timespan climate change offers. If global emissions are not completely put to a halt by 2017, the earth will warm 1.5oC by 2030 and 2oC by 2045 – global temperatures that could not support most life on earth.47 As stated by the EPA, “pound for pound, the comparative impact of methane on climate change is over 20 times greater than carbon dioxide over a 100 year period.”46 With the Northeast Energy Direct pipeline, as with all gas pipelines, methane would leak at every point of the process: extraction, (fracking fields and wells) transportation, (pipelines, LNG export terminals, power plants, storage facilities) and maintenance (compressor stations have routine “blow offs” that release methane and chemicals found in the gas into the air; valve stations that are found almost every ten miles along pipelines periodically release methane).47 Therefore, if this pipeline had been built, or if any other proposed pipelines in the state are to be built, Massachusetts would be breaking its own emissions targets set fourth in the Global Warming Solutions Act. From living near a possible explosion or spill, losing property value on one’s home, having drinking water contaminated with hundreds of chemicals, possibly developing a fatal illness, or continuing to live in an ever-warming world with more natural disasters, economic instability, disease, and food and water scarcity, it can be concluded that this pipeline, in conjunction with the systems it is intertwined with, would have infringed upon the basic needs of all aspects of life on earth. For the local residents of Massachusetts and New England, it is clear that this project would be harmful both economically and environmentally, from a new tariff to the possibility of contaminated drinking water. For the land, trees, and animals of the area, the pipeline would have stolen over 120 miles of “greenfield,” or land previously untouched by industrial infrastructure, including wetlands, old growth forests, and land protected by the Massachusetts Constitution under Article 97 of Protected Land.48 Fracked gas pipelines like this one support and cater to an industry that is contaminating drinking water and causing a plethora of health issues for those living near extreme energy extraction. 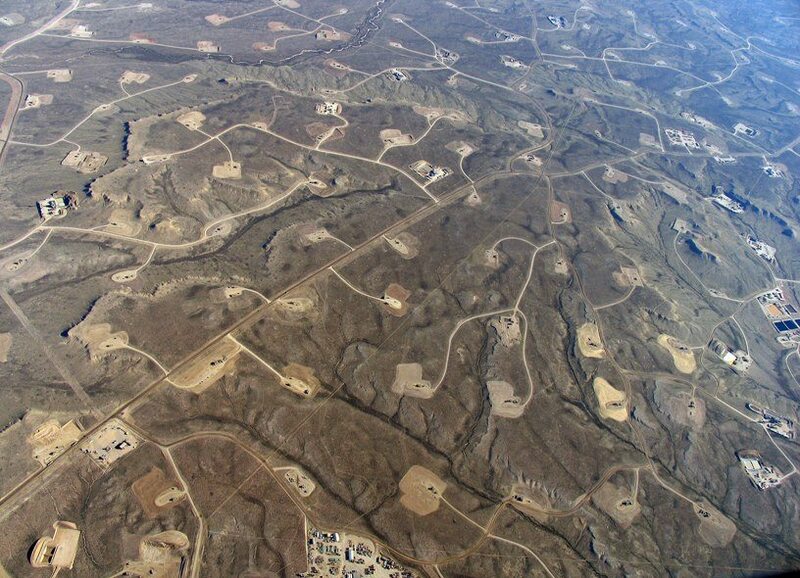 Fracked gas pipelines like this one further contribute to global emissions and support industries that have been knowingly causing climate change for decades. It is clear that the consequences of the action of Kinder Morgan and Tennessee Gas Co. are foreseeable and unjust. In viewing the ethics of the decision to build the Northeast Energy Direct pipeline, not only were the consequences foreseeable and morally wrong, but since the action of building the pipeline has the potential to be dangerous to human, ecosystem, and atmospheric health, it cannot happen. Under this framework, because of the amount of foreseeable consequences and risks involved, fracked gas pipelines must no longer be an option. While current market conditions in the gas industry make multi-billion-dollar projects like this very difficult, we must own this victory as one of our own and see the hopeful power in grassroots organizing. I believe that we have won, and that we will continue to win. Personal interviews with landowners, local activists, lawyers. July to December, 2014. Fitzgerald, Jay. “In Face of Opposition, Company to Reroute Pipeline.” The Boston Globe. 05 December 2014. Cromwell, Michael. “Pipeline No More Popular in NH.” Sentinel & Enterprise. 13 December 2014. Northeast Energy Direct project memo, local presentations, and informational letters to landowners. Kinder Morgan Energy. “Tennessee Gas Pipeline.” Kinder Morgan. 2014. Fore, Allen – Kinder Morgan Public Relations Vice President. Select Board Meeting. Warwick, MA. 13 May 2014. New England States Committee on Electricity (NESCO), 2014. ISO New England. “Winter Reliability Programs” letter to Federal Energy Regulatory Commission. 28 June 2013. Dowling, Brian. “Amid Constant Heat, Electric Grid Asks Region to Conserve Power.” Hartford Courant. 16 July 2013. ISO New England. ISO New England Calendar. Arangio, Liz, Director of Gas Supply Planning. “Northeast Gas Association: Market Trends Forum.” National Grid. 01 May 2014. Richardson, Whit. “Maritimes & Northeast Pipeline Owner Wants to Retrofit Pipeline to Bring Gas From South.” Bangor Daily News. 12 Feb 2014. “Exxon-Mobil Prepares to Decommission Sable Gas Field.” CBC News: Nova Scotia. 08 April 2013. “North American LNG Export Terminals: Proposed/Potential.” Federal Energy Regulatory Commission. Office of Energy Projects. 21 February 2014. Tennessee Gas Pipeline Company. “Request to use Pre-filing Procedures.” Letter to Federal Energy Regulatory Commission. 15 September 2014. “Massachusetts Tops California as Most Energy Efficient State.” ACEEE: American Council for an Energy Efficient Economy. 12 October 2014. Markey, Ed: Senator of Massachusetts. “America Pays for Gas Leaks.” 01 August 2013. (With information from the Department of Transportation, Pipeline and Hazardous Materials Safety Administration, and the EPA). Hornby, Rick; Chernick, Paul; Stanton, Elizabeth, et. al. “Avoided Energy Supply Costs in New England: 2013 Report.” Synapse: Energy Economics Inc. 12 July 2013. Shattuck, Peter and Howland, Jamie. “Pipeline Alternatives Assessment: Energy Resources to Meet New England’s Winter Needs.” Environment New England. June 2014. The Global Warming Solutions Act. Department of Energy and Environmental Affairs. Mass.gov. “Energy Efficiency.” MassSAVE: Savings Through Energy Efficiency in Massachusetts. “Massachusetts Renewables.” Berkshire Environmental Action Team. August 2014. “Massachusetts Global Warming Solutions Act.” Conservation Law Foundation. GDF-Suez. “NESCOE Request for ‘Additional Data or Analysis in Connection with Increased Pipeline Capacity.’” Letter to Heather Hunt, Ex. Dir. of NESCOE. 10 February 2014. Anderson, Ian D. “Environment, Health, and Safety Policy.” Kinder Morgan Canada. November 2012. West, Ben. “Kinder Morgan : Another Enron-Style House of Cards in Waiting.” Huffington Post:Canada, British Columbia. 09 September 2013. “Assessing the Risks of Kinder Morgan’s New Trans Mountain Pipeline.” Conversations for Responsible Economic Development; citing: The National Response Center, U.S. Coast Guard. Hamarich, Mark, Construction Manager for NED. Franklin Regional Planning Board Meeting, 24 July 2014. Haley, Chris. “Northwestern Minnesota Gas Pipeline Explosion: ‘It Was Just Hell on Earth’.”com: Pioneer Press. 26 May 2014 & O’Connell, Jon. “Ice Blamed for Gas Pipeline Burst.”Pittsburg Post-Gazette. 18 March 2014. S. DOT. “National Gas Transmission: Significant Incidents Summary Statistics 1994-2013.”Pipeline & Hazardous Materials Safety Administration (PHMSA) Pipeline Safety Stakeholder Communication. Johns Marrs Ellis & Hodge LLP Forensic Appraisal Group & consultation with town of Lee, MA. Berwick, Ann G. President of NESCOE. “Re: Request for ISO-NE technical support and assistance with tariff filings relating to electric and natural gas infrastructure in New England.” Letter to VanWelie, Gordon, President and CEO of ISO New England. 21 January 2014. Chesto, Jon. “Gov. Patrick Backs Away From Regional Effort to Expand Natural Gas Capacity.”Boston Business Journal. 18 August 2014. Kassotis, Christopher et al. “Estrogen and Androgen Receptor Activities of Hydraulic Fracturing Chemicals and Surface and Groundwater in a Drilling-Dense Region.” Endocrinology Journal. Vol. 155, Is. 3. Endocrine Society. 16 December 2013. Kosnik, Renee Lewis, JD. “The Oil and Gas Industry’s Exclusions and Exemptions to Major Environmental Statutes.” Earthworks’ Oil and Gas Accountability Project. & Energy Policy Act of 2005 Wikipedia page. “Global Assessment of the State-of-the-Science of Endocrine Disruptors.” World Health Organization. 2002. Abraham Lustgarten, “Drilling Down: Is Natural Gas Drilling Endangering U.S. Water Supplies?” ProPublica, 13 November 2008. “Methane Emissions.” United States Environmental Protection Agency (EPA). Howarth, Robert and Ingraffea, Anthony. “Methane and the Greenhouse-Gas Footprint of Natural Gas from Shale Formations.” Cornell University. 13 March 2011. Youngblood, Leigh: Exec. Dir. of Mount Grace Land Conservation Trust. “Re: Shale Gas Pipeline Route Proposed by Kinder Morgan, Inc.” Letter to Governor Deval Patrick. 11 March 2014.